Romelu Lukaku's Goodison goal glut continued with a double as Everton's 4-2 victory over Leicester ended Foxes boss Craig Shakespeare's six-game winning run. Lukaku maintained his run of scoring in every home match in 2017, a streak he extended to eight games as he took his Premier League tally to 23 goals, one more than Middlesbrough's entire total. It was already 2-1 to Leicester by the time he registered here after a pulsating opening 10 minutes when Tom Davies, Islam Slimani and Marc Albrighton all netted, with Lukaku then levelling and later grabbing the Toffees' fourth after Phil Jagielka restored their lead before half-time. This was the first time Leicester had failed to win since Shakespeare took over from Claudio Ranieri in February, though in making five changes to his starting XI he showed he was clearly prioritising Wednesday's trip to Atletico Madrid in the Champions League quarter-finals. With parts of the country enjoying the warmest day of the year, there may have been fears for this becoming a Sunday afternoon stroll, yet all of that was dispelled inside a frantic opening spell. Thirty seconds in and Everton were ahead through Davies, who owed a debt of gratitude to referee Robert Madley. He held off blowing his whistle when Daniel Amartey pulled down Kevin Mirallas, allowing Davies the advantage to side-step Robert Huth and fire the Toffees ahead. Yet Leicester were soon in front. They levelled via a classic Foxes counter-attack, Demarai Gray striding from one penalty box to the other on a three-on-two break and slipping in Slimani to put through Joel Robles' legs. Confusion between unfamiliar central defensive partners Jagielka and Matthew Pennington made Gray's choice easy and the latter's clumsy foul on Jamie Vardy then earned the Foxes a 10th-minute free-kick. From there the blame could only lie with Robles as he was deceived by Albrighton's delivery from the side of the box which bent into the top corner. The pace barely slowed and the hosts had levelled before the half's midway point. Ross Barkley, so often guilty of taking an extra touch, for once whipped in an early cross that Lukaku nodded in for his customary Goodison Park goal. 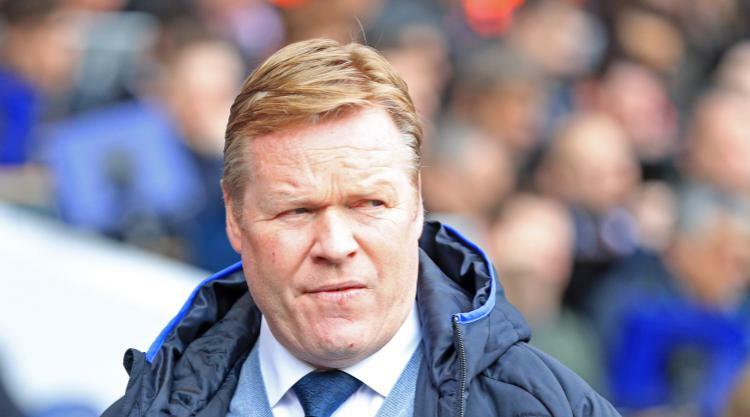 A score of 2-2 never looked like being the eventual outcome and Ronald Koeman's side were in front again prior to the interval. It looked like it would be Barkley who grabbed their third when the ball rolled into his path following Davies' tackle on Vardy, yet Kasper Schmeichel managed to deny the midfielder as he rounded him. It mattered little, though, as from Mirallas' corner Jagielka rose highest to head home. Unsurprisingly the pace slowed somewhat, although the visitors almost levelled when Slimani's cross was deflected into the side-netting. But the second half was only 12 minutes old when Everton scored again through Lukaku. It was another Mirallas corner directed towards Jagielka, and when his header rebounded off Andy King, it came to Lukaku to slam in. His goals tally is now four better than nearest golden boot pursuer Harry Kane. That was the sign for Shakespeare to bring on Riyad Mahrez as part of a double change, but in doing so he withdrew Vardy in an indication matters in Madrid were still occupying his thoughts. He even gave Leonardo Ulloa a first league outing since January 2 and was almost rewarded when he nearly scored with his first touch from a header that hit Idrissa Gueye in the face. Ulloa seemed intent on marking his rare outing with a goal as Robles saved another of his headers, but he was unable to prevent Leicester from sliding to their first loss under Shakespeare, whose attention now turns to the club's first Champions League last-eight tie.